the competition shooting shirt fits good and nice and cool to where. 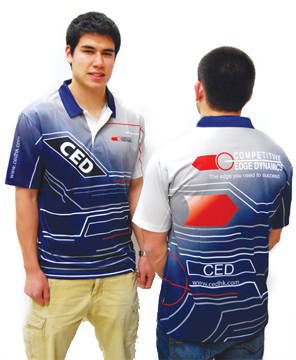 CED introduces our new CED Competition Shooting Shirt, made of “Cool Dry” Micro-Fiber hi-tech fabric. This great new popular lightweight material whisks moisture away from the body, leaving a cool comfortable feeling on the warmest of days. Designed with a strong colorful Ink Dye Sublimation print, this new shirt incorporates contemporary geometric lines and aspects of the well-known CED logo, so popular in the shooting industry today. This shirt will last twice as long as a cotton shirt, while the colors will remain crisp and vibrant without fading as other shirts often do. Available in sizes S to XXXL. Specify size when ordering. The specs are full and comfortable.